We offer a range of durable, reliable & light-weight hand labeling systems that meets all your labeling requirements. SATO, a leader in the AIDC industry, developed the first hand labeler in 1962 and thereafter became a pioneer in the price marking industry. 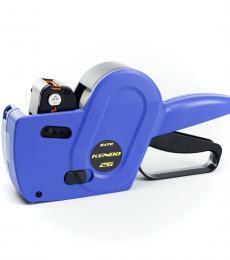 SATO offers a variety of one, two and three line Hand-Held Labeling Systems, ideal for low and high-volume users. They allow you to mark thousands of items quickly and reliably. Used for most merchandising and coding applications, they are available in a variety of choices that will suit every customer's need. The applications are endless. Complete A-Z character capability is available, giving you the ability to print your own customized messages. Additional stock print bands allow for tool customization to meet special requirements.